The 2018 Activity Report of the European Broadband Competence Offices (BCOs) Network presents the year’s knowledge-sharing and capacity-building programme under the objectives of: connecting, sharing knowledge and building capacity; growing at regional level; and strengthening the Network. The programme included events, publications and video interviews dedicated to increasing the capacity of European BCOs to bring broadband connectivity to all citizens. A focus of the BCO Network is supporting bridging the digital gap between urban and rural areas and reaching the Gigabit Society objectives. 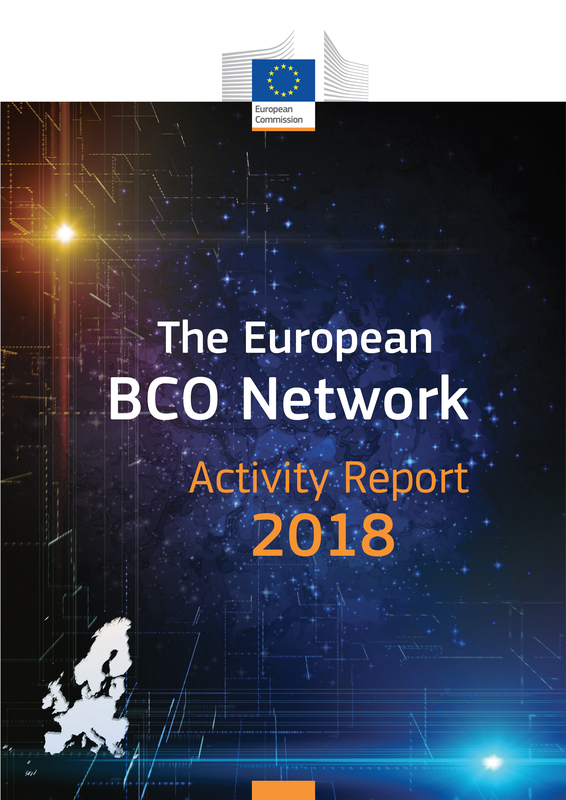 To explore the BCO Network in 2018, download the 2018 Activity Report. BCO Network members are able to access materials from these events through the members-only BCO Network forum. To enquire about joining the BCO Network and accessing the BCO Network forum, please contact the BCO Network Support Facility. A priority of the BCO Network is promoting awareness of good practices in broadband projects. In 2018, the BCO Network Support Facility supported this through its video interview series, which features broadband projects from across the EU, ranging in size, models and funding. It also published a brochure presenting the five winning projects from the 2018 European Broadband Awards, and contributed to the European Commission’s database of broadband good practice projects. The BCO Network also produces video interviews on EU funding, policy, and thematic areas relating to connectivity, such as smart villages, precision farming, and regional development and territorial cohesion. The series also includes interviews with national and regional BCOs, introducing their services and objectives. In order to support Member States and regions in setting up effective Broadband Competence Offices (BCOs), a dedicated guide was published, outlining the core functions and services of BCOs, important preparatory steps to consider, and the funding and support available for BCOs. To support broadband project promoters across the EU, a brochure was produced gathering key information on European funding for broadband for the 2014-2020 programming period. Further to this, an overview was published outlining the principal EU technical assistance instruments available to public administrations involved in the promotion of connectivity in the EU, for the design and implementation of broadband programmes and projects, including the setting up of a BCO. Closing the year was the 2018 Annual Conference of the BCO Network: an opportunity for members, potential members, and European Commission representatives to come together, share the milestones of the past year, and set common priorities for the year ahead. Read more about it in the 2018 Activity Report. For information on the 2019 objectives and activities of the BCO Network Support Facility, read the 2019 Annual Work Plan Summary.